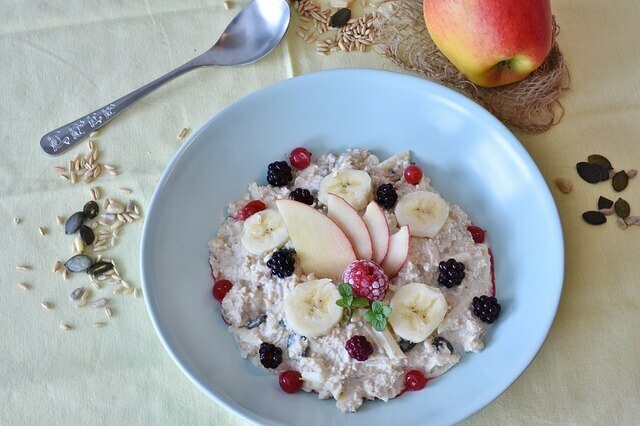 Did you know that anxiety can be alleviated through nutrition? There are, in fact, some anti-anxiety foods that can help us fight the unwanted symptoms and manage everyday stress. Every day we face situations that stress us out and make us anxious. 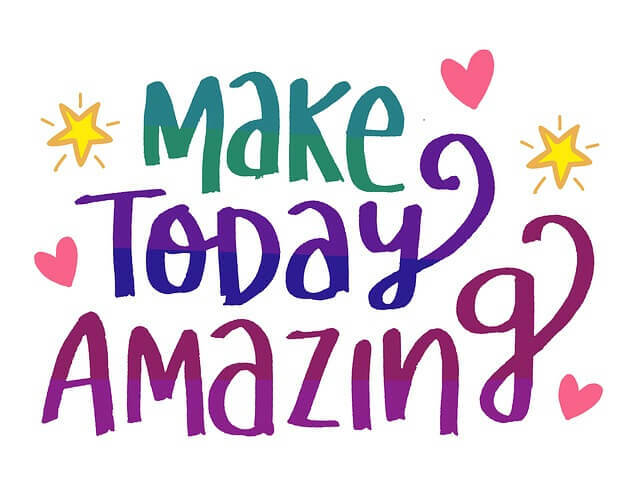 Sometimes it may be such a difficult issue, that’s why we want to give you some other advice on how to battle anxiety and stress, for you to live a healthier life! One of the main symptoms of anxiety is hunger, caused by eating disorders and by a daily diet poor in vitamins and nutrients. Being on an empty stomach for several hours lowers glycemia levels, which leads to a strong desire for sweets or junk food. In such situations food becomes one of the elements to keep anxiety away. Following we are going to show you a few foods that can help you feel better and keep both anxiety and stress away. Fish is helpful to keep blood pressure levels optimal, as it is packed with omega-3 fatty acids, that lower the cardiovascular disease risk and regulate blood sugar levels. 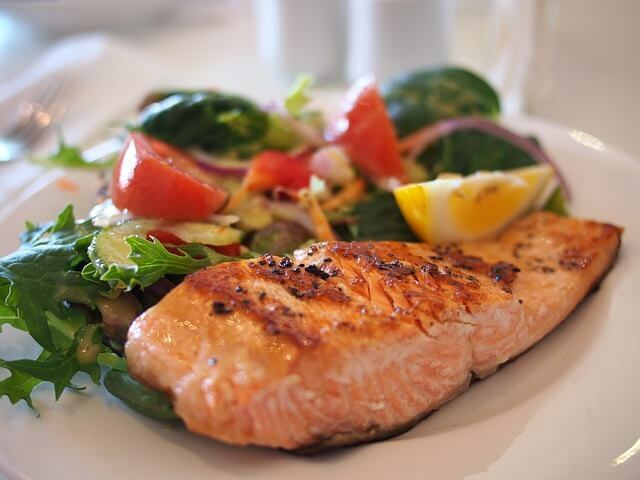 It is essential to eat fish at least once a week, because it contains large amounts of magnesium, promotes relaxation and reduces both stress and anxiety. Dairy products contain tryptophan, and amino acids promoting good mood and relaxation. It is contained in bananas and peanuts too. Just like fish, almonds are loaded with large amounts of magnesium, and also protein and vitamins helping our body work properly. If you are in a bad mood or you are very hungry, you may want to eat almonds. They will help you feel relaxed and filled in. Bananas are extremely rich in potassium, which boosts the nervous system and reduces anxiety. Whenever you feel like having a snack eating a banana will make you feel much better than chips and sweets. Algae are packed with high levels of magnesium and tryptophan, that help feel relaxed. One example of algae is Spirulina – packed with protein, vitamin B, iron and known to fight stress, depression, and fatigue – perfect for when you’re feeling tired and down. You can eat it or take it as a supplement in tablet, powder or flake form. Plain chocolate (dark chocolate) proves helpful in soothing anxiety, as it reduces cortisol, the stress hormone. 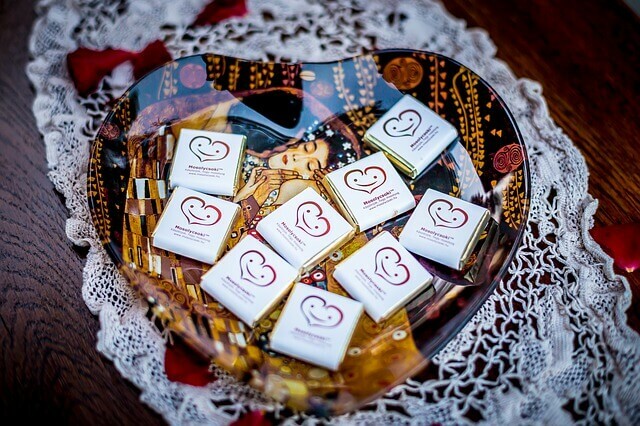 Chocolate also contains phenylethylamine (or PEA), which is the same chemical that our brain creates when we feel like we’re falling in love. Phenylethylamine encourages our brain to release feel-good endorphins, that is why it is a perfect anti-anxiety food. Orange leaves work as sedatives and sleeping medications. Drinking a herbal tea of orange leaves before getting to sleep, may help sleep tighter and reduce anxiety and stress. Dried fruits contain vitamin B, which promotes the serotonin production. As a brain chemical, serotonin helps feeling calm, regulates both body temperature and appetite. Serotonin is commonly known as the “good mood hormone” or the “feel-good hormone”. Its deficiency may lead to depression, panic attacks, head-aches, insomnia and hypertension. Peaches contain fiber, vitamins and minerals helping keep both anxiety and stress under control. If you feel agitated, eat peaches if the season is right. Two or three peaches will also make you feel filled in. Abstain from coffee as much as possible and replace it with herbal or fruit tea. Drink enough water, as it is essential for the proper functioning of our body organs. Schedule your meals. Meal timing is important for maintaining a good physical and mental health, so plan out your breakfasts, lunches and dinners. Take physical exercise (on a daily basis! ), as your body and mind will benefit from that. Try eating more fruits and vegetables. They are rich in vitamins, minerals and precious enzymes that help us feel healthy and energized. Avoid drinking alcohol and don’t smoke – bad habits will eventually damage your body. 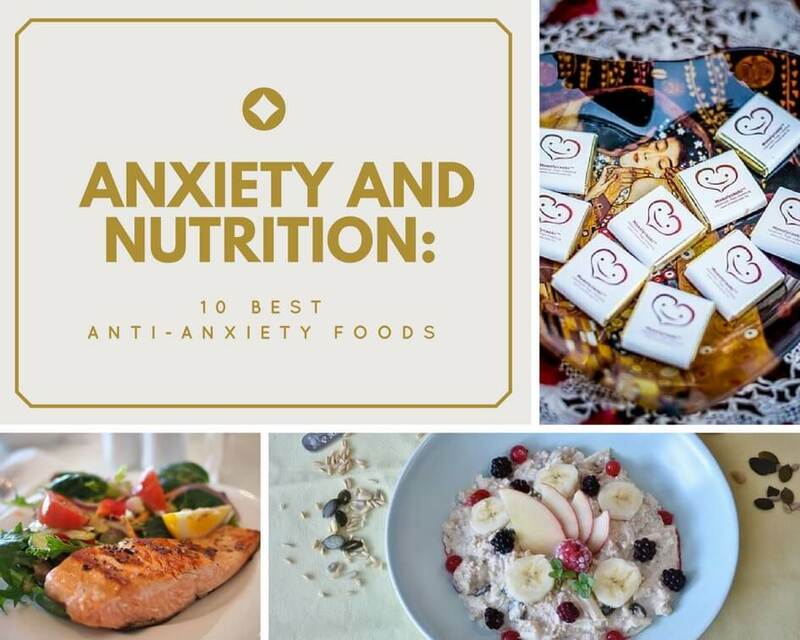 Thank you for reading Anxiety and nutrition: 10 best anti-anxiety foods., and if you find this article useful, please comment below and share it so other people can benefit from it as well! Thanks for sharing this information! There are some of these that I have pretty often, but others I didn’t know about. I will add them to my daily nutritional intake, for sure. Hi Erika,your feedback is always appreciated and valuable ! This list is amazing! I have horrible anxiety and I am going to incorporate these into my diet more! Thanks for sharing!